Teaching for over three decades, Gretta Roberts is a prime example of an exemplary teacher. Emerging from a family of teachers, Roberts said that teaching was something she just had to do. "My mother had been a teacher all her life and from the time I was born, literally; she has been my school principal from the time I started primary school. So it was just something in me and every member of the family passed through the teaching service, except my brother; so, it was just something like a family thing," she said. Born in Grand Fond, Roberts attended the Grand Fond Primary School and then moved to the Convent High School. However, after Hurricane David in 1979 she moved to St Vincent to finish her schooling; when she returned she attended the Dominica Grammar School. Her teaching journey began in the Grand Fond Primary School in 1980 where her mother was the principal. While at the Grand Fond Primary School, her mother was transferred to Roseau Boy School; therefore Roberts moved to the St Martin Secondary School, previously called the Vocational Section. Roberts was transferred again to two schools before spending most of her teaching years at the Goodwill Primary School. "From there I was sent to St Martin's Primary where I taught at the grade six for years and following that I was sent to Roseau Boy School with my mother. I spent a year there and then to Goodwill Primary where I spent the rest of my life, I probably stayed at Goodwill for over 15 years," she said. While teaching at the Goodwill Primary School she worked with principals such as Peter R Augustine who is now an Evangelical Pastor, Clementina Liverpool-Paul and Mariam Lewis. 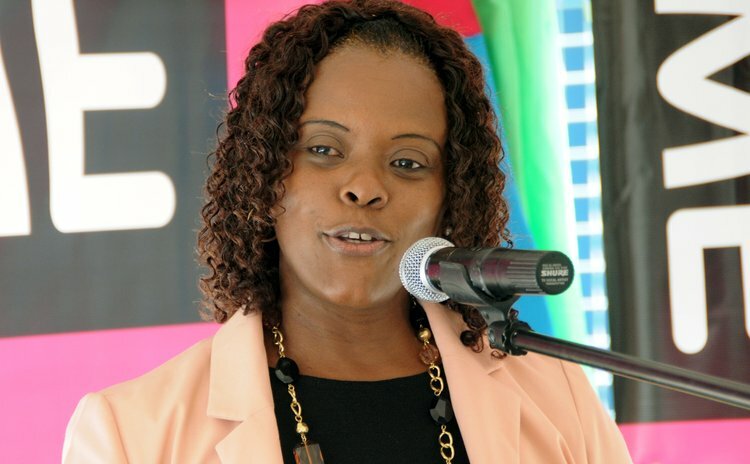 Under Lewis's guidance, she was appointed Deputy Principal; from that role she was asked to take up the position of principal at the Roseau Primary School. As principal, her first big step was the changing of the school uniform which comprised of a mustard yellow blouse, navy blue pleated skirt, navy blue socks and tie and black shoes. Obtaining inspiration from the school's vision 'Shine Above All', the uniform was changed to a white blouse, short gold tie, black and white pleated skirt, black socks and black shoes. "We put in that gold tie as a symbol of shining because the torch is our symbol; so every time you put on the tie, you have to remember you have to shine above all…I noticed with the change in the uniform it brought a whole change in their attitude; they became more confident, they were more keen and motivated to do what they had to do," said Roberts. Another aspect of the school that Roberts saw was lacking was the school's participation in events. To change that she urged the students to participate in anything they were asked to whether they emerged winners or not; but she always encouraged them to work to win. With the help of the teachers, Roberts started an adoption programme where at school teachers were assigned to students who were struggling academically; that boosted the children's willingness to want to do better. This was also established because the school was not performing well at the various National Assessments. Because of the adoption programme, the school has seen an increase in the number of passes over the last few years. A school-feeding programme was also established. The school has a high number of less fortunate students who regularly attend school without breakfast; so the school feeds them in the morning and every student receives lunch at 2 pm. The feeding programme is funded by the Ministry of Education and corporate sponsors. On October 1, 2014 Roberts won the 2014 Primary School Principal of the Year Award at the National Excellence in Education Awards ceremony held at the Arawak House of Culture.